Safety | Northern Lights Energy Companies, Inc.
Northern Lights Energy Co, Inc. views safety as our highest obligation and duty towards our employees and industry as a whole. It is with this in mind that we always remain very diligent with our compliance and training services. We have also developed many of our own internal safety programs to compliment all of the other standardized programs and resources available. NCMS makes the contractor qualification process easy to understand. They transmit all of our relevant data to the operators. This helps create valued partnerships between us, and it is an integral part of what makes the whole process work. DISA has been providing innovative workplaces safety and compliance services for over 25 years. Their services are specifically designed to promote workplace health and safety. These services include drug/alcohol testing, background screening, transportation compliance, and safety and substance abuse training. PEC provides standardized safety and skills training to the Oil and Gascontractor workforce. This also includes online standardized forms for reporting safety information from contractors to operators. 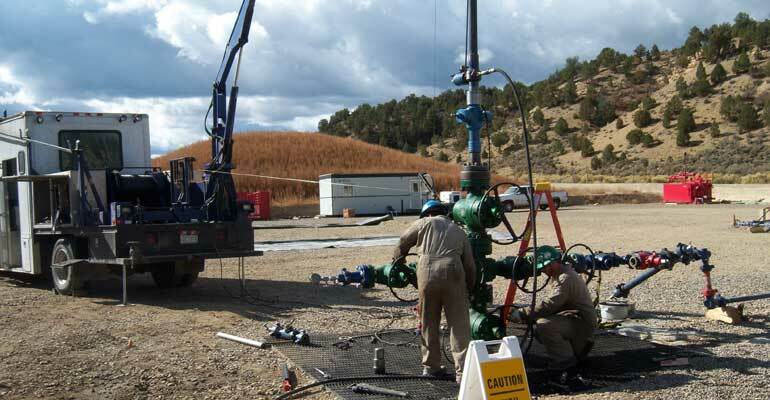 Safeland USA provides an orientation designed specifically for US Onshore Oil and Gas Industry. There is consistent “E.H. & S.” Orientation, which is industry recognized and widely accepted. This orientation remains with that employee for the rest of his/her career. ISNetworld is a global resource for connecting and hiring clients with safe and reliable contractors. This network maintains safety, insurance, quality, and regulatory information on contractors and suppliers. All of these things can be a large strain on resources, so ISN helps streamline these processes.